Get A Speedy Fast™ QuoteGet Started Today! Emergency Service NowContact Us Today! 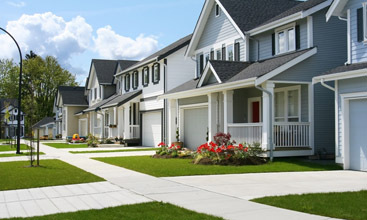 We understand that being a homeowner comes with a budget. But, at Air Repair we also know how to provide superior service within that budget. Combine this with our commitment to providing safety, comfort and efficiency to your home and you get why we are the top choice for residential heating needs in Northern Colorado! Having the right commercial HVAC system can make a big difference! At Air Repair, we are dedicated to providing full-service HVAC services that ensure your commercial heating, cooling, chiller and boiler systems are operating at peak performance, at all times. 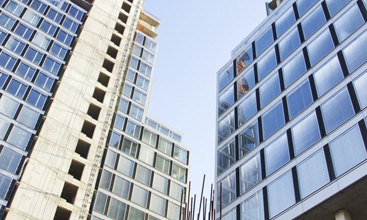 So your commercial building never loses money where it shouldn’t. Why not use the free and renewable energy resources you already have when heating and cooling your home or commercial business? Using geothermal energy to heat and cool your home or business with efficient, environmentally friendly geothermal power just makes sense. And check out our WaterFurnace to go even “greener”! We want our customers to have maximum comfort at the lowest possible operating cost within their budget. Speedy Fast™ QuoteGet Started Today! Air Repair is passionate about your comfort! We are a fully licensed, bonded and insured heating and air conditioning contractor, that has been making Northern Colorado residents and commercial building owners more comfortable since 1994. Located in Greeley CO, Air Repair is the most convenient, affordable and well qualified HVAC company near you. Our technicians are trained to provide you with expertise in technology, energy efficiency, and comfort zoning when it comes to the installation and/or service of heating and air conditioning systems in both residential and commercial locations. We consider long-term customer satisfaction and comfort as our top priority and only provide and install equipment and products of the highest quality in order to provide that. Air Repair is a full- service mechanical contractor that knows what makes superior service at the best price point. We also know how important safety, comfort and efficiency are to Colorado families and business owners. Which one of the main reasons Air Repair has risen to be the preferred choice for all commercial and residential heating needs in Northern Colorado. That, and the fact that we tailor our HVAC/R maintenance programs and installations to ensure that your heating, cooling, chiller and boiler systems are operating a peak performance levels all year round. 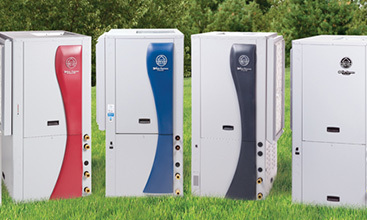 We are also proud to be the largest, full-service provider of WaterFurnace geothermal products for the Northern Colorado area. So, whether you need routine maintenance, equipment repair or a complete comfort system installed– Air Repair has the training and ability you need. Let us provide you a solution that uses the clean, renewable energy in your backyard to provide savings up to 70% on heating, cooling and hot water.